Swift Bricks - Cheap & Easy! 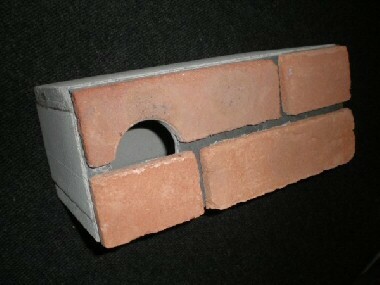 On the left is the Schwegler Swift Brick. Made of a type of concrete, it has a hollow interior for the Swifts to nest in. It measures 180mm high, 265mm wide, and is 220mm deep. On the right is the EcoSurv Swift Nest Brick. 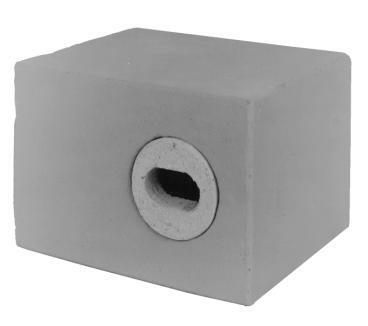 Made in the UK from foamed cement and faced with whatever hard material you choose, it measures about 325mm x 145mm x 205mm deep. Use them in blockwork or brickwork walls, ideally as the top course, or placed high in gables, flank walls and ends of terraces. Your new nest-places should be out of direct sunlight or else shaded day long beneath broad eaves. They should be 5 metres or more above ground. They should not be obstructed by nearby trees, cables, creepers or aerials. 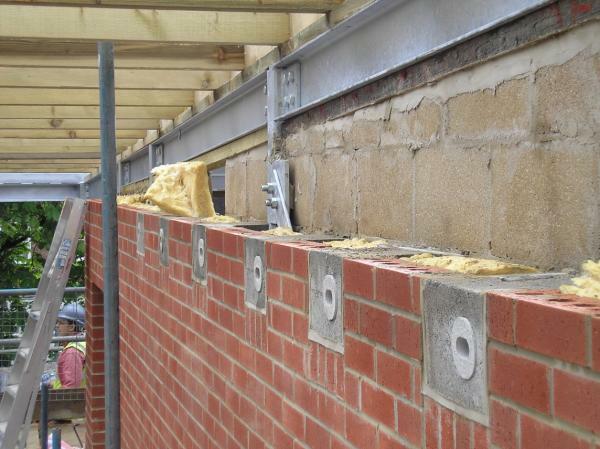 Install 1 to 4 Swift Bricks on a medium to large house, from 4 to 10 on a small block of flats, and 10 to 20 on a large site like a school, hospital or warehouse, or a major apartment development. Install them in a straight line, under the eaves or at the top of a vertical wall, away from windows. The birds are shy, and don't like being stared at as they prospect for nests! Don't worry about them making a mess. Swifts are very clean and if these nest places are used shouldn't leave those piles of droppings that some other birds do. Photos © Edward Mayer & EcoSurv Ltd. 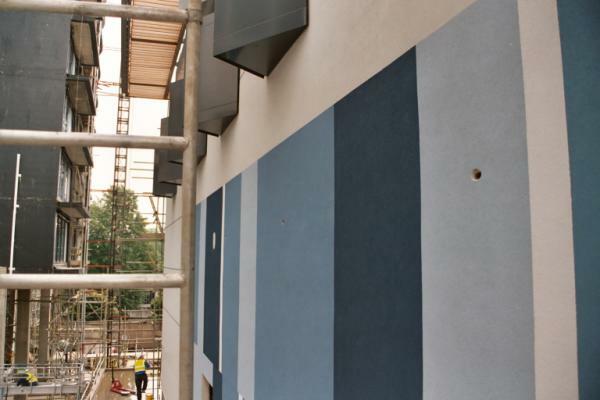 Above left - Schwegler Swift Bricks installed at Terry Farrell's Swiss Cottage Sports Centre, London NW3, designed and built for Camden Council. Camden were keen to have Swifts breeding at this site to bring some wildlife to a busy urban area. They asked Swift Conservation to specify and supervise the design and installation of these nest places. It's normal practice to hide these bricks behind rendering, pebble dash, or even tile and stone facings. All that is necessary is that the 55mm x 33mm entrance hole is exposed for the Swifts to gain access. 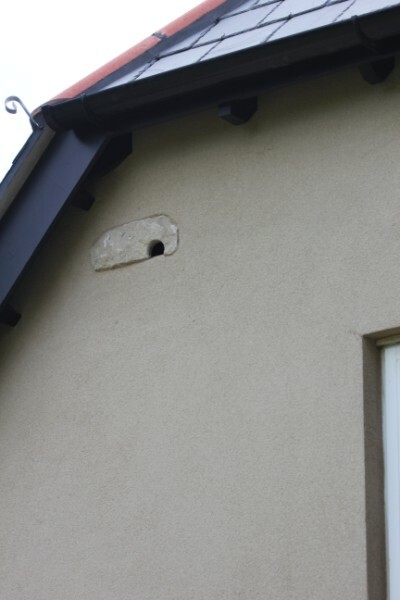 Middle photo above shows an EcoSurv Swift Nest Brick faced with natural English stone and inserted flush into the plastered exterior blockwork of this dwelling house. On the right above are Schwegler Swift Bricks installed at the Notting Hill Housing Trust / Barnet Council sheltered housing project at New Barnet, North London. Local residents asked Swift Conservation to help them establish nest places for Swifts in the new building, so that existing birds would not become homeless following demolition of the former buildings on this site.